It’s so nice to relax in the summer. That’s what summer vacations are all about. But there are some things we shouldn’t let go when warm weather comes, especially good dental care habits. Remember summer is a great time to ensure your kids are up to date on their dental cleanings and exams while they are out of school. It is also a great time to plan any dental treatment you know you need in order to maximize your benefits and not risk waiting and needing more extensive treatment. Maintaining healthy teeth and gums isn’t just about fresh breath or a sparkly smile. It’s important to your overall health. Why? Because gum disease, or periodontal disease can erode the foundation of your mouth, and could pose a threat to your body. If you have gum disease that means that bacteria is traveling from your mouth to all parts of your body and has been linked to stroke, heart disease, uncontrolled diabetes and pregnancy complications. Gum disease is very common, with close to 80 percent of U.S. adults currently having some form of the disease. Other research indicates it is the leading cause of adult tooth loss if left untreated. There are many other health benefits that people don’t associate with their dental cleanings. At each visit your dental hygienist will check your blood pressure, perform an oral cancer screening and provide you with valuable information specific to your health history. Prevention is always cheaper than having to restore a tooth due to lack of proper dental care. 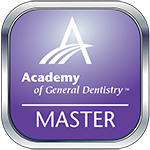 Dr. Donnelly’s goal is to provide all of his patients with a healthy smile they can be proud of showing off! Don’t forget to call and schedule your cleaning appointments and we hope everyone has time this summer to relax and enjoy time with family and friends. 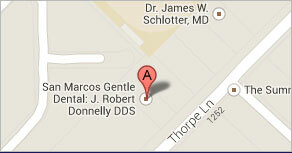 Call Dr. Donnelly’s office in San Marcos at (512)396-5225. VOTED BEST DENTIST IN HAYS COUNTY 2012! !